Von der Rolle, Preis für je 1 Meter. Bitte geben Sie die gewünschte Länge als Anzahl Artikel an. 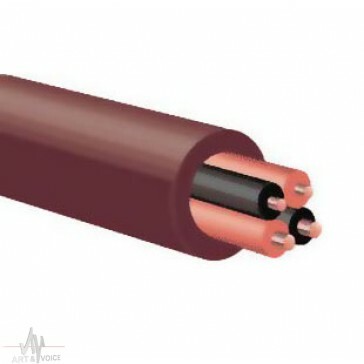 Speaker cables employ Hyperlitz design and SST (Spread Spectrum Technology) for optimal performance. Type2 uses four individually insulated LGC copper conductors, two are 0,72mm and two are 0,91mm, this making a 1,15mm cable. These conductors are spiraled for optimal signal carrying characteristics and good RF rejection. Beige satin outer jacket.